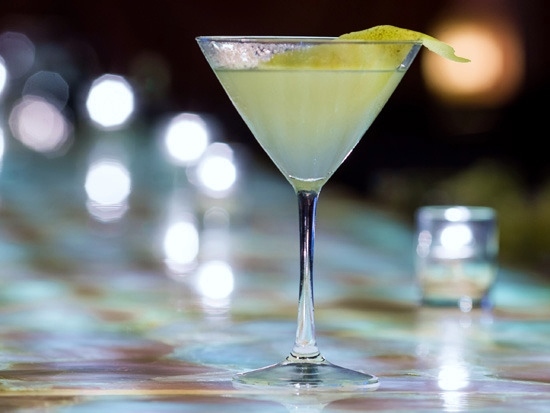 The upscale South Beach bars are the perfect place to have cocktails before your big night out in the Miami nightlife. The South Beach scene has something for everyone no matter what type of ambience you are looking for. They are gorgeous the drinks are just right and the crowds are very chic. So take a trip over the causeway to South Beach and you’ll find the most unique luxury bars Miam Beach has to offer. There are plenty of bars to choose from, but we’ve listed the A listers that will take your breath away. The Bleau Bar is a gorgeous bar located in the famous Fontainebleau Hotel on Miami Beach. Located on the lobby level of the hotel, you are sure to run into the ‘who’s who” of Miami, and celebrities all over the country. No matter where you sit, you will have a beautiful view of everything. If you’re wanting to have fun and be seen, this is one of the best places to be. The Rose Bar has its own breathtaking memorabilia, including a two-tier pool in full view. A sophisticated and glamorous space, it is the ideal place to have a relaxing time, enjoy a cocktail and get great finger food from Bianca at Delano. One of the places to be in South Beach Miami, Bar Centro is known for its adventurous cocktails and delicious snack selections. A beautiful setting awaits for you and your friends for a nice night out to enjoy all the ambience Miami has to offer. Located in one of the most luxurious hotels in Miami, the Setai Bar does not disappoint. Filled with an Asian sophistication, the bar offers elegance no matter what time it is. Enjoy food from the grill, and dance the night away with friends seven days a week. Designed to accommodate the party scene, the Sky Bar always has something going on. With the lavish décor, featured guests, DJs that help you dance all night long and the specialty cocktails, this is a must-see venue to experience. Cobalt blue walls make this a standout, complete with fountains, pergolas and colorful tropical gardens. Patrons can enjoy the Redroom garden, which is like an outdoor living room, or the Rumbar, designed for intimate spaces. If you’re looking for somewhere to have a great time, include this on your list of best bars South Beach has to visit. Nothing bonds you to South Beach nightlife than an outdoor setting. You get that and so much more at Ocot Bar at the Soho Beach House. Located on the top of the hotel, the beautiful, yet laid back setting has a pool for swimming, couches to lounge on and music for you to dance to your hearts content. The Soho House is a private club, but where there’s music and food, there will always be a way to get into the festivities. These are just a few South Beach bars that cater to the exclusivity and lavish, upscale crowd. Any place on this list is guaranteed to be a nice outing and more. If you’re ready to experience South Beach like the natives, this list will help you fit right in. Ocean Drive Miami Beach is one of the most famous boulevards in the USA and is located in the heart of the Art Deco District of Miami Beach. 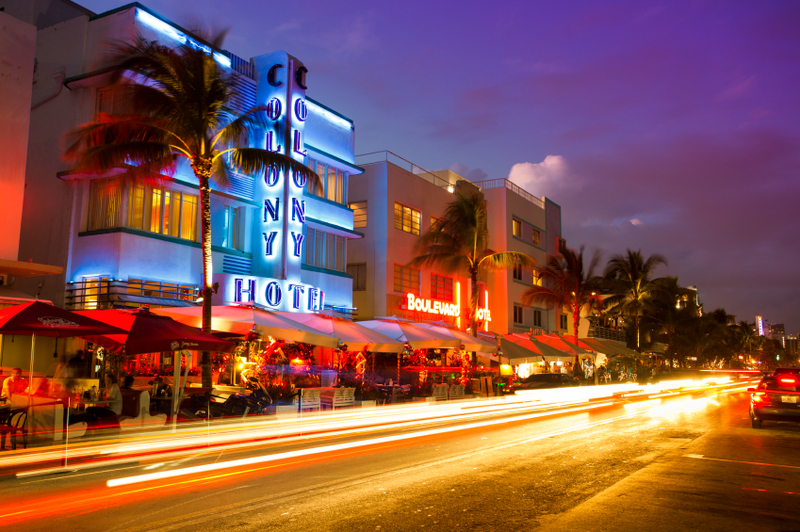 Ocean Drive is always filled with people from all over the world enjoying the trendy hotels, bars, restaurants and cafes in the Miami nightlife. If you want to be where the action is Ocean Drive will not disappoint the strip is 14 blocks long with trendy spots for breakfast, lunch and dinner or if you just want to sit and people watch and have a few drinks or a cup of coffee Ocean Drive is the perfect place to take in the sights. Some of the popular bars on the Ocean Drive are the Clevelander Bar which has just had a multi million dollar renovation and has a very happening bar area with DJs and live bands jamming all day and night. Mangos tropical Cafe is also a thriving spot to have lunch or dinner and is known for there amazing dancers. Mangos has many shows day and night that always draw a crowd and is a must see. Ocean Drive has many other well known bars including Wet Willies and Fat Tuesdays. Day and night Ocean Drive is filled with people checking out the sights and enjoying the bars, cafes and restaurants and if you like to shop there many trendy designer shops filled with the latest styles. South Beach has 3 main streets were all the happening are Ocean Drive, Collins Ave and Washington Ave. If you are looking for the big nightclubs and trendy lounges the are located on Collins Ave and Washington Ave. Some of the most popular clubs in South Beach are Liv nightclub located at the Fontainbleau Hotel, Story nightclub on Collins Ave and Icon Nightclub with bottle service on Washington Ave. The popular lounges are club Rockwell, Hyde and Mynt lounge they are also located on Collins Ave.
We offer the best South Beach Nightclub Party Packages in Miami. Includes 2 hour open bar at a South Beach Lounge, Limo transport form the open bar to the club and No Wait Club Entry. Tickets are $50 for girls and $80 for guys. The Clevelander Miami Beach happy hour is a thriving hot spot and the best happy hour in South Beach Miami. The Clevelander Bar happy hour in South Beach overlooks Ocean Drive and is right across the street from the ocean. The bar gets packed for happy hour and its a the perfect spot to spend a couple of hour enjoying the live DJ music and gorgeous Clevelander dancers. The Clevelander also has a roof top lounge with a two bar stations and an amazing view of the Miami Beach ocean. The Clevelander Hotel and bar area has been completely renovated and really looks great. The bar area has been expanded and they have a stage for live band and events. They also have a nice big dance floor and a pool right in the middle of the action. If you get hungry The Clevelander has a restaurant and serves really good food all day and night. The restaurant has seating right on Ocean Drive which is great for people watching. So when you come to South Beach make sure you check out the Clevelanders Happy Hour from 5:00pm till 7:00pm Monday-Friday. Automatic Slims South Beaches rock and roll bar billed as the spot “where beautiful people come to get ugly” Automatic Slims is a cool rock and roll bar and lounge on Washington Ave. The place rocks with hot waitresses dressed to fit the rock and roll theme with very short skirts and when the DJ hits the right beat they hop on the bar and start dancing energizing the rocking crowd. No rock and roll bar would be complete without a stripper pool and Slims comes through with one that the crowd enjoys putting to good use. So if you want to rock stop by Automatic Slims and rock the night away.